Here in This Gig, I will submit your website content in 100 most popular wiki sites whih including both edu and gov domain as well. Detailed report in excel format will be provided once your work get completed. 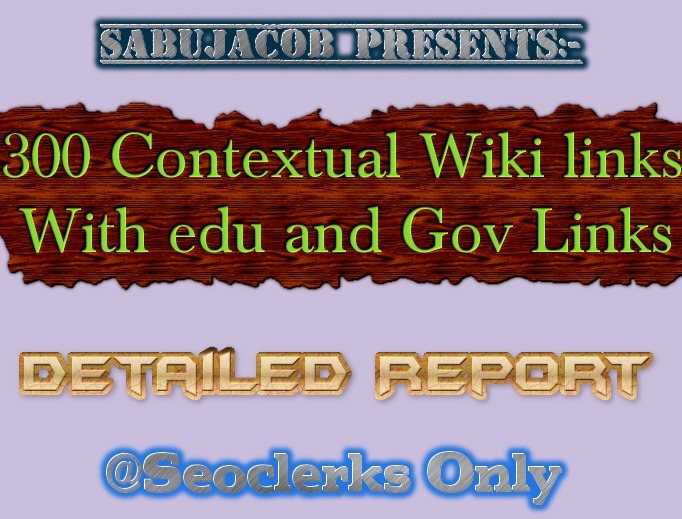 300 Contextual Wiki Baklinks Including edu and Gov Domains is ranked 5 out of 5. Based on 6 user reviews.